This is an outstanding project that I’ve had the honour to work on with the Manitoba Cricket Association and community leaders. The addition of these two new cricket fields is a significant step forward towards the advancement of cricket in Manitoba. Thanks to the Sou’wester for allowing me a monthly column to discuss community news. Are you up for a game of cricket? One of the first public consultations I held was to gather input and ideas from community leaders on how to improve La Barrière Park. La Barrière Park is not any one councillor’s responsibility as it is located in the RM of Macdonald, but I’ve always felt the history that ties La Barrière to St. Norbert, placed a responsibility on the St. Norbert councillor to provide good oversight. Many great ideas were presented at the open house and a top priority was to install new washroom facilities. I’m pleased to report funding was secured for a new washroom in 2016 and design plans and construction are underway. Just over a year ago I was approached by local cricket players and the Manitoba Cricket Association to find space for cricket fields. 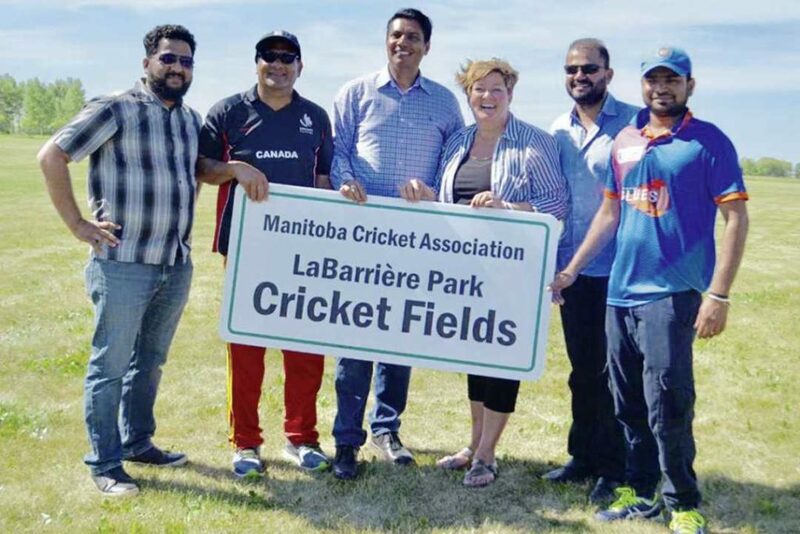 Garvin Budhoo, president of the Manitoba Cricket Association explained that two more cricket fields will increase playing opportunities for teams, assist in athlete development and enable Winnipeg to become a destination for national and international cricket tournaments. It is my great honour to have worked with the Manitoba Cricket Association and community leaders Paramjit Shahi, Manoj Chaudhari, and Shoib Khan to formalize and construct two regulation size, state of the art cricket fields with concrete pitches in historic La Barrière Park. These cricket fields should be “in play” in the next few weeks. Cricket has been increasing in popularity in Winnipeg, with the number of players doubling in just the last two years. As one of the City of Winnipeg’s largest parks, La Barrière Park has the field space, and is close enough for a short country drive to enjoy a completely unique nature and recreation experience. In addition to the cricket fields and washroom, a new fire pit and picnic tables will be installed. Many dignitaries attended the event, along with representatives from the South Winnipeg Community Centre, Louis Riel School Division and the Pembina Trails School Division to celebrate the advancement of cricket in Manitoba. I look forward to learning how to play cricket, and working with the Manitoba Cricket Association to host some Cricket 101 lessons in the coming months.